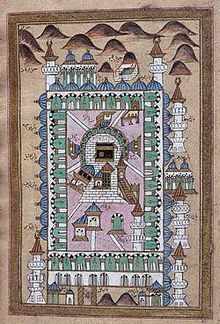 Mecca[a], properly in Arabic: Makkah (مَكَّة); Classical Arabic: Bakkah, is a city in the Hejazi region of the Arabian Peninsula, and the plain of Tihamah in Saudi Arabia, and is also the capital and administrative headquarters of the Makkah Region. The city is located 70 km (43 mi) inland from Jeddah in a narrow valley at a height of 277 m (909 ft) above sea level, and 340 kilometres (210 mi) south of Medina. Its resident population in 2012 was roughly 2 million, although visitors more than triple this number every year during the Ḥajj (Arabic: حَـجّ‎, "Pilgrimage") period held in the twelfth Muslim lunar month of Dhūl-Ḥijjah (Arabic: ذُو الْـحِـجَّـة‎). "Mecca" is the familiar form of the English transliteration for the Arabic name of the city, although the official transliteration used by the Saudi government is Makkah, which is closer to the Arabic pronunciation. The word "Mecca" in English has come to be used to refer to any place that draws large numbers of people, and because of this some English speaking Muslims have come to regard the use of this spelling for the city as offensive. 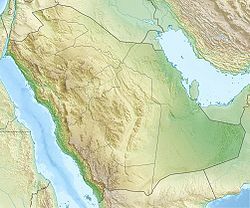 The Saudi government adopted Makkah as the official spelling in the 1980s, but is not universally known or used worldwide. The full official name is Makkah al-Mukarramah (Arabic: مَـكَّـة الْـمُـكَـرَّمَـة‎) or Makkatu l-Mukarramah (Arabic: مَـكَّـةُ الْـمُـكَـرَّمَـة‎, [ˈmæk.kæl mʊkarˈrama, ˈmæk.kætʊl-]), which means "Makkah, the Venerable/ Generous". ^ a b Versteegh, Kees (2008). C.H.M. Versteegh; Kees Versteegh, eds. Encyclopedia of Arabic language and linguistics, Volume 4 (Illustrated ed.). Brill. p. 513. ISBN 978-90-04-14476-7. ^ "Saudi Arabia's Haramain High-Speed Railway opens to public". Arab News. 2018-10-11. Retrieved 2019-04-14. 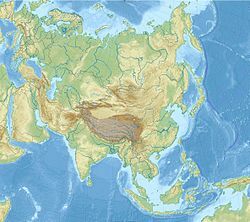 This page was last edited on 18 April 2019, at 18:18 (UTC).